Also one of my "Ireland in Art" pictures. 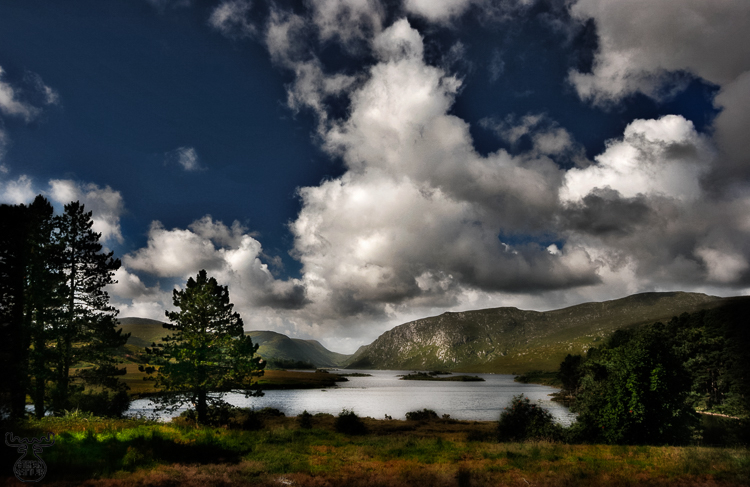 This one is taken in the Glenveagh National Park, actually close to the visitor centre and parking area. A picturesque landscape, as it could also be in Canada. Especially the clouds (and of course the specific high contrast version) make up an expressive scenery.